Having a spot for each item and knowing that everything is in it’s place makes it super easy to find things when creating pages. I LOVE organizing drawers, but as you can see, I am really bad at making labels for them. I promise I will get around to doing it, but with or without them, these drawers are organized. 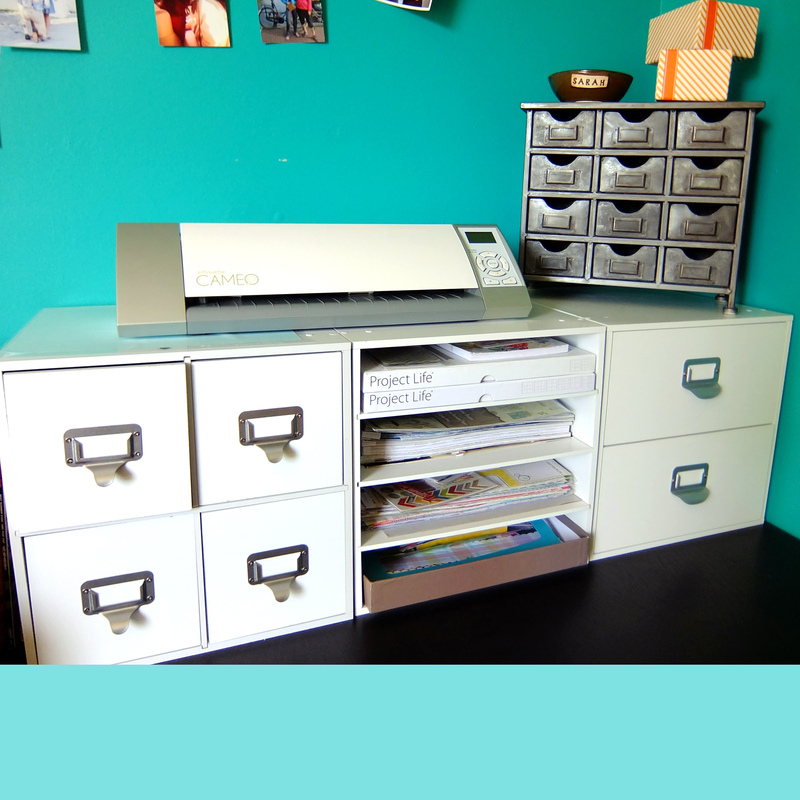 Keep reading for some of my tips for craft room and home office organization. 1. 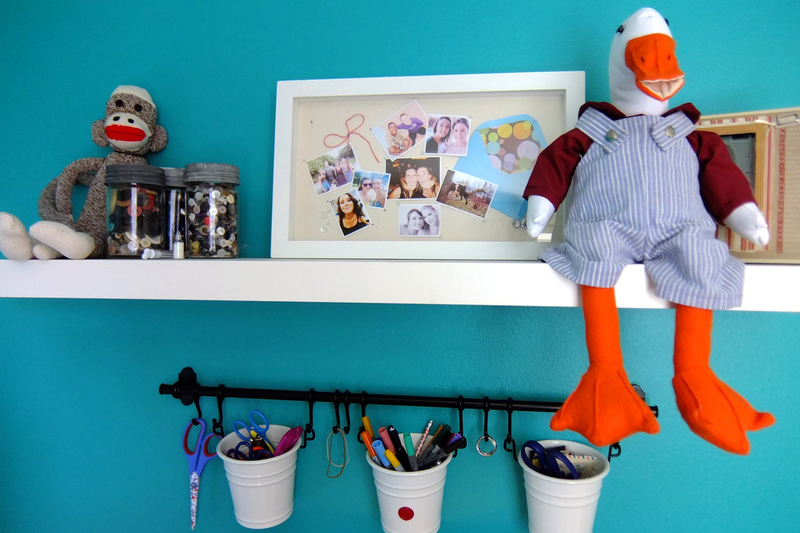 Incorporate your organization into your room design. When looking for storage drawers, I not only look for things that are useful for the items I am looking to store, but I also take into account whether the design will fit in with my room or not. 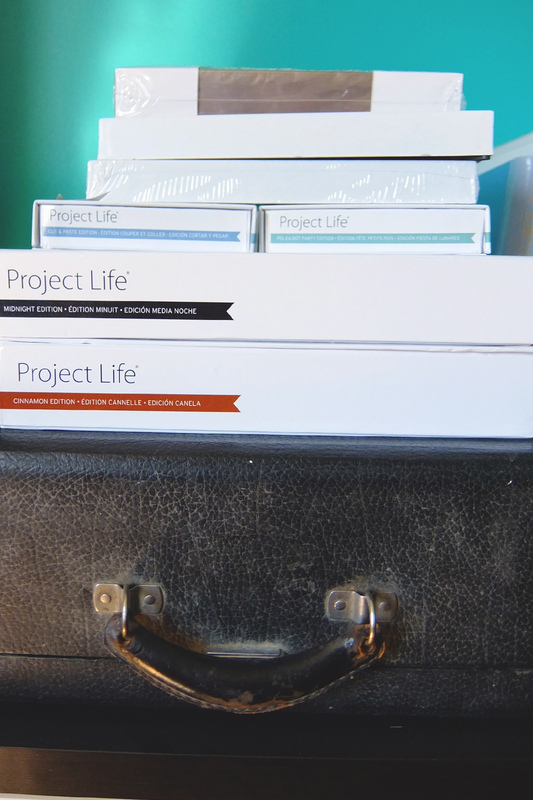 Since I have been getting more into project life (and by “getting into” I mean “buying tons of supplies in preparation for when I actually do start”), I was on the lookout for a storage system that would fit my cards and my rustic craft room style. I found this awesome drawer system (above) at Hobby Lobby in the US and couldn’t resist! Not only does it look great, but it is perfect for organizing my cards! I love how my little hanging bins add character to the room while getting stuff off the desk. 2. Don’t be afraid of labels, but make sure they make sense. When I first started organizing my room, I gave the worst labels to my plastic drawers. 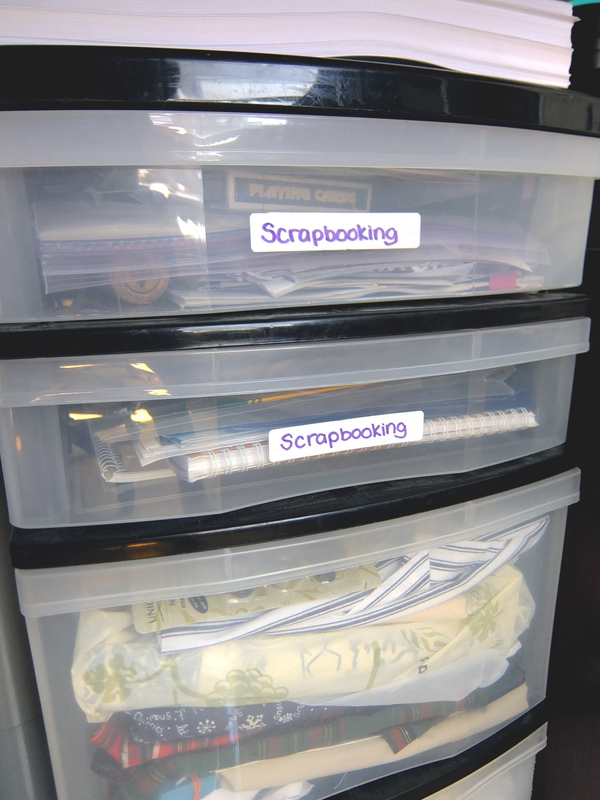 “Scrapbooking” would have been a fine label, had I not decided to label every drawer with scrapbook products “Scrapbooking.” I am a huge fan of labels, but only when they make sense. 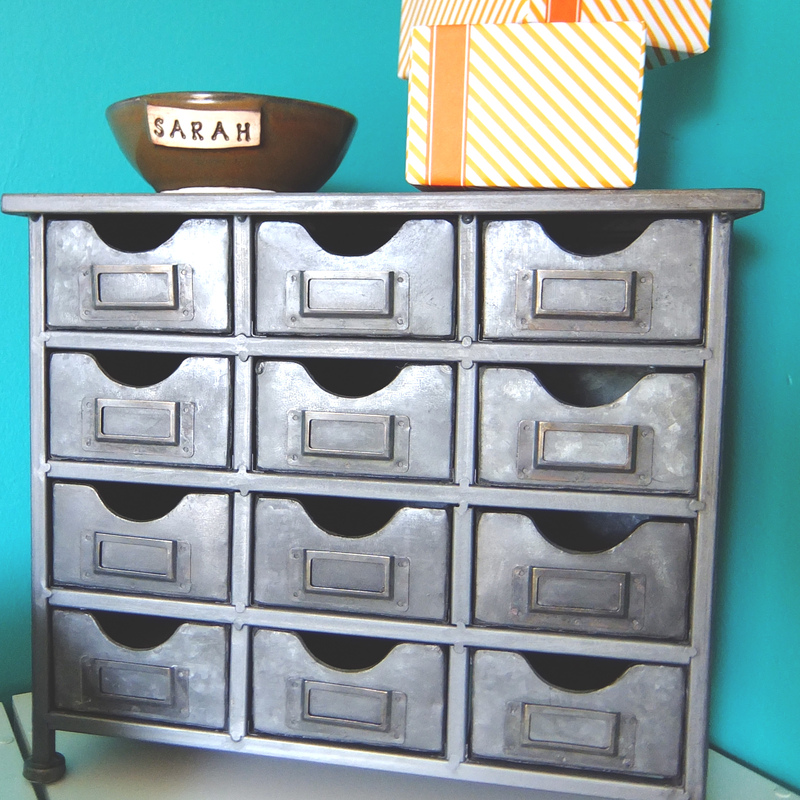 Alternatives for these drawers could have been “embellishments,” “punches,” or “adhesives.” Make labels make sense and they will definitely make organizing your life easier! 3. Don’t just stash, sort! My Mom is the queen of stashing! If you leave anything out of it’s place overnight, you will have no idea where it ended up the next day. I am completely guilty of doing the same (just ask Will), and so this last point is especially difficult for me to remember and take the time to do. My stashing habit it something I had to keep in mind when I was buying my storage bins. 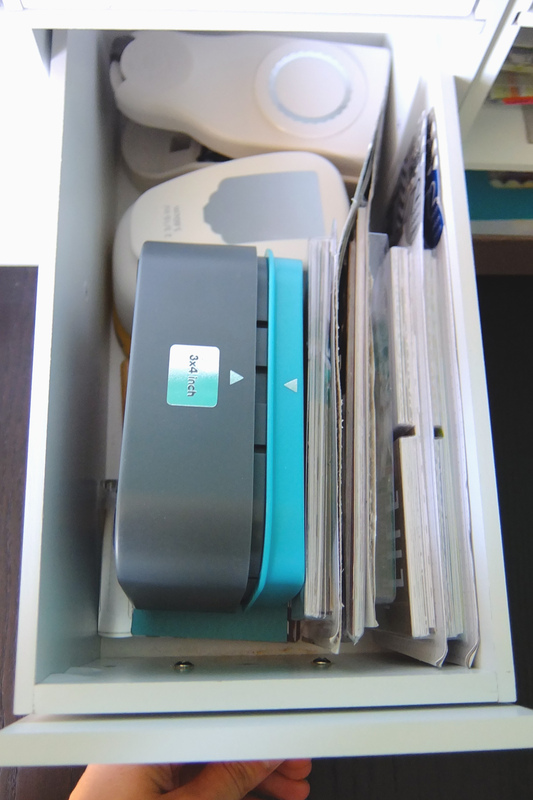 I love having the dividers in the larger drawers because it forces me to sort things as I put them away. 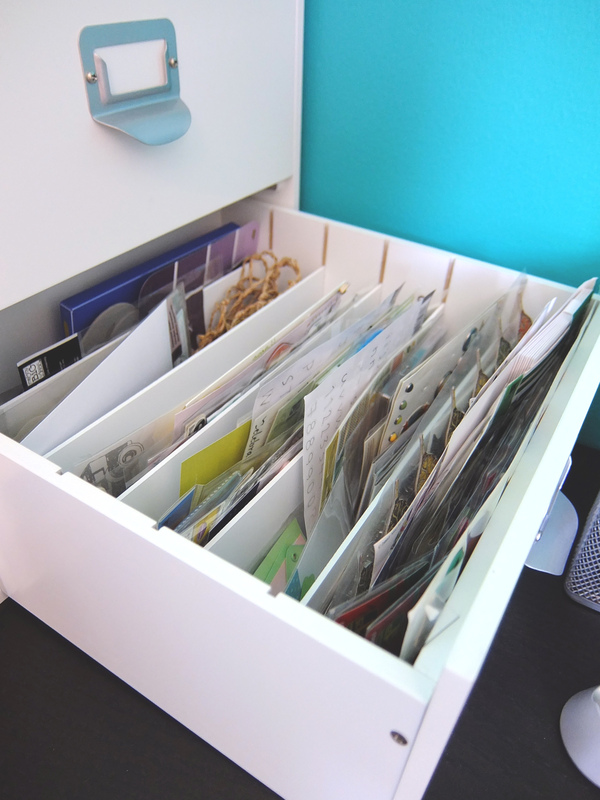 Sorting as you go keeps your organized and ready to craft at a moments notice! Most of the time it really just looks like organized chaos, but organized chaos is much better than plain old chaos!